In 1984, a nation that wasn't in the habit of creating hugely successful computer games would spawn one of the greatest. It was this year that Alexey Pajitnov, a computer engineer from the Soviet Union, would develop the hugely addictive puzzle game known as Tetris. He developed it on an Electronika 60 (apparently a PDP-11 clone), which was so primitive, it didn't have any graphics capability, meaning the original implementation of Tetris had to use characters to form the blocks. 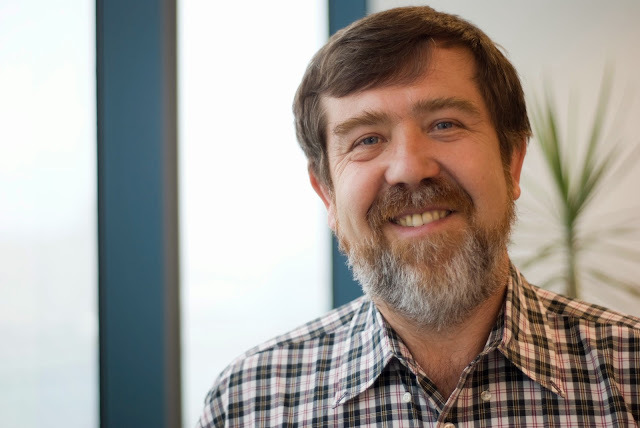 Alexey Pajitnov would then work with Dmitry Pavlovsky and Vadim Gerasimov to have it eventually ported to what would become a common home computer operating system, namely MS-DOS. Tetris was a hit although it wouldn't be until 1986 that it would first surface in the West. For 10 years, Tetris was licensed and managed by Soviet company ELORG, formed especially for the purpose of selling Tetris overseas. Pajitnov did not receive any royalties during this time as he was employed by the Soviet government but this all changed in 1996, when he and his friend, Henk Rogers, founded The Tetris Company. He has been receiving royalties ever since. During the late 2000s, interviews revealed that Pajitnov was a fan of World of Warcraft and considering he's only ever been addicted to playing the CGA version of Lode Runner and the Zelda games on NES, I found it quite surprising why out of all modern PC games he would pick an MMORPG. 2014 actually marks the 30th anniversary of Tetris and it seems like the game, its merchandise and its many spin-offs are still keeping the brand strong. Pajitnov is probably doing very well for himself although it seems that Gerasimov wasn't as lucky, not receiving one cent of royalties from Pajitnov according to this post. Gerasimov has apparently been working at Google Australia over in Sydney for over 6 years now, so even though he might not be raking in the millions from royalties, he can at least enjoy the lovely Australian sunshine :). Unfortunately I haven't been able to find any information on Dmitry Pavlovsky. Apparently he moved to the UK in 1990 according to Gerasimov. retro Tetris Where are they now?